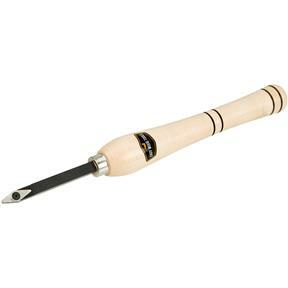 The Easy Detailer tools really pick up where other tools leave off and provide another level of woodturning creativity as the unique diamond cutter shape fits in tight places where the cutters on the other tools will just not fit. 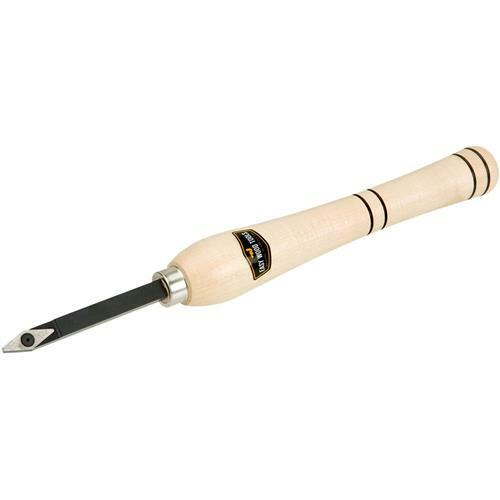 This was designed for the primary purpose of doing the small intricate work and cutting final details on your projects such as small coves and beads on both spindle and bowl work. They are also very handy for cutting chuck tenons and making inside reverse angle cuts for inside chucking bowls with dovetail jaws. You may find they work well for hogging your green wood projects too. The Easy Detailers are engineered to cut going straight in employing just the nose of the tool. 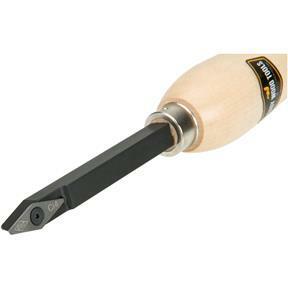 The Easy Detailer tools are engineered with a reduced relief angle to the long cuttings edges making the long edges less aggressive when held in contact with the wood as the nose of the tool is cutting. In use, the long edge is intended to perform as a "control surface" and serve to be in contact with the wood just behind the cut; much like a bevel is being rubbed.